Fudge's Fundraiser-NOT LONG TO GO NOW!!!!! On Sunday 20th September 2009 my mummy runs the 13.1miles from Newcastle to South Shields. She is doing this for a human chairty called Maggie's Cancer Care Centres...I've asked her nicely as I wanted her run to help some bunnies who are less fortunate than me-she said yes and I wanted to help aunty Snowy at Rabbit Retreat and aunty Jill at Honeybunnies. On her run mummy wears a magic chip that records her time so we are going to raffle the numbers 00 to 59 for £2 and the winning number will be decided on the seconds on her chip when she gets to South Shields. The money will be spilt 50/50 so 50% to Maggies (who have given mummy her place) and 50% to my Rabbit buddies. The winner will be announced on Tuesday 22nd September when mummy gets home from Newcastle. 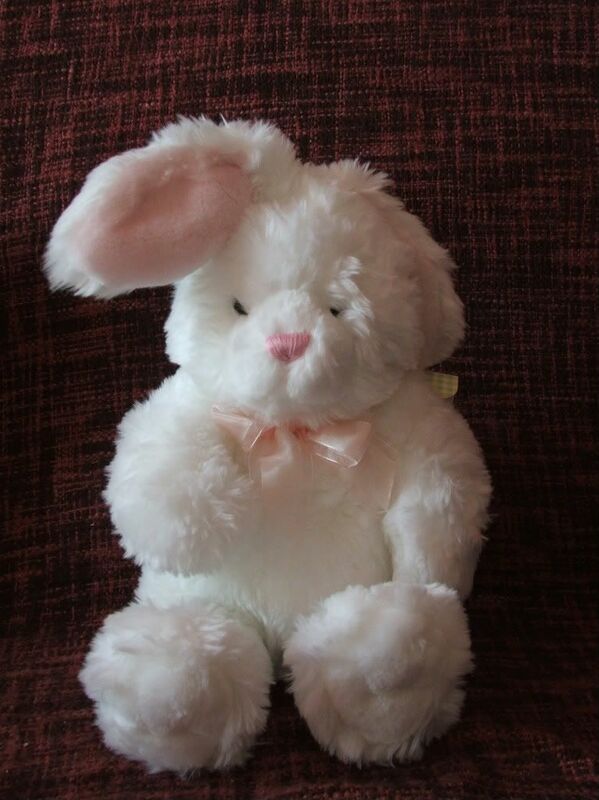 Please pm mummy if you want to try to win Maggie-mummy has said she will cover the postage to the lucky winner! Mummy will sort out the grid once people have decided which number they want to pick-remember they go from 00-59, numbers will be allocated on a first come basis.Mummy says she has a paypal account or it can be posted. At the moment mummy has got all the numbers from 00 to 59 available.....if you are interested please contact mummy. She does take paypal and has the magic account thingee. Mummy says if you are abroad and on a BFPO address she will happily post to anyone who wants to play! the numbers 5, 13,19, 21, 23, 24, 35, 45 and 59 have been taken! Yes Jay it is quite a nifty idea and is really dependent on me crossing that finish line at Great North Run down in sunny South Shields! Fudge's Fundraiser! EIGHT DAYS TO GO! Just to say that mummy only has eight days until she goes to Newcastle to do her running-please show your support and pick your numbers so we can make some bunnies very happy! the numbers 5, 13,17, 19, 21, 23, 24,26 32, 35,42, 45, 52 and 59 have kindly been taken! Come on fellow HHers lets make some bunnies at aunty Theo's and Aunty Jill's happy little bouncie creatures! Mummy only has three days til she does the really big run. 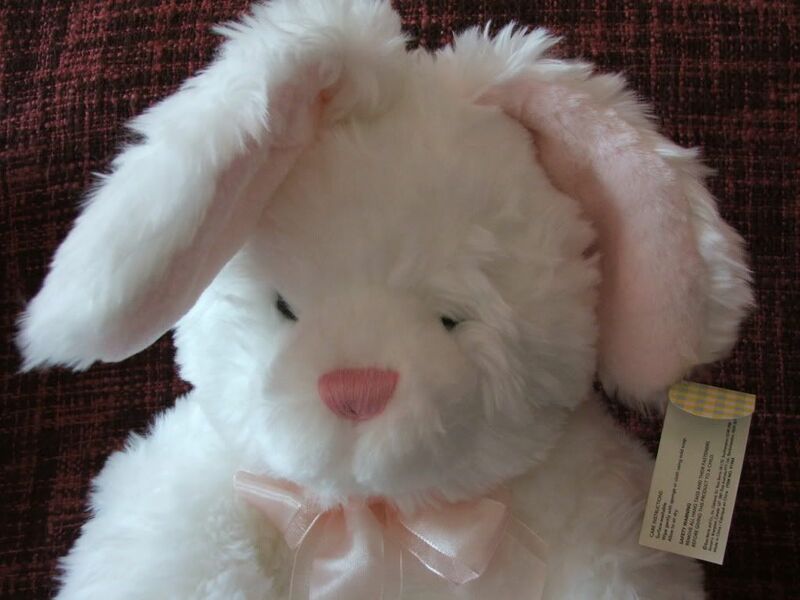 We've got lots of numbers left to buy-Maggie Bunny really wants a nice loving home. Gosh Fudge is'nt your mummy really good for trying to raise money for 3 very worthwhile causes. I hope she manages to raise loads and loads more..
Oh my gosh Kelly, Ive forgotten to send you the cash, I'll put it in post later, good luck! It's OK Jay I did wonder.........you are not the only one. Fudge is sat consoling Maggie at the moment-she is all tearful that people don't want to try to rehome her! I managed to send mine via Paypal this morning. Let me know if you don't get it. Have a fab weekend gang and please show your support! Money is on it's way Kelly, good luck for today! YOUR TIME IS RUNNING OUT TO PICK YOUR SECONDS! MUMMY COMPLETED THE GREAT NORTH RUN YESTERDAY AND IS KEEPING HER SECONDS UNDER WRAPS! MUMMY COMPLETED THE RUN IN 2HOURS 52MINUTES BUT WHAT WAS HER SECONDS??? ?DONT ASK ME SHE HASN'T TOLD ME! PLEASE DIG DEEP-WE WANT TO MAKE LOTS OF BUNNIES HAPPY! The following numbers are STILL AVAILABLE! !